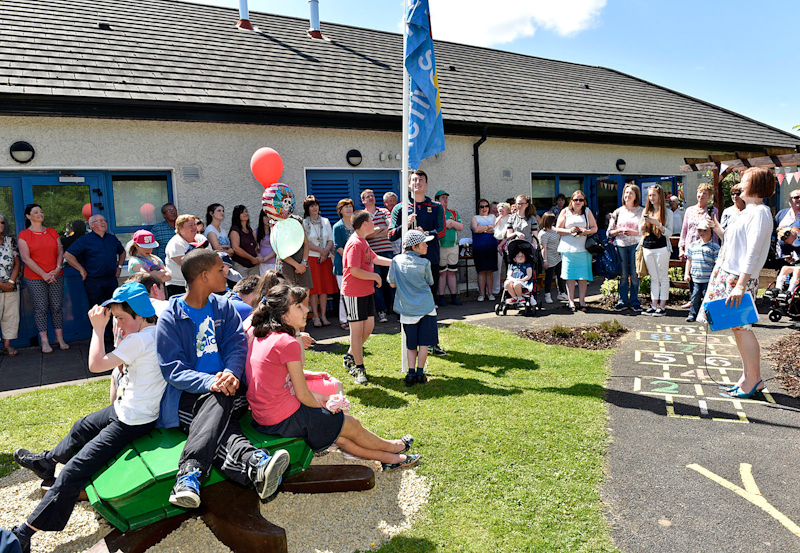 A great day was had by pupils, staff, special guests and friends at St. Anthony's Special School, Castlebar recently when they held a Memorial Picnic day to honour and commemorate deceased pupils and staff by unveiling a Memorial Wheelchair Picnic Table to the special memory of pupil Thomas Connolly and staff member Julia Joyce, both of whom sadly passed away in 2015. 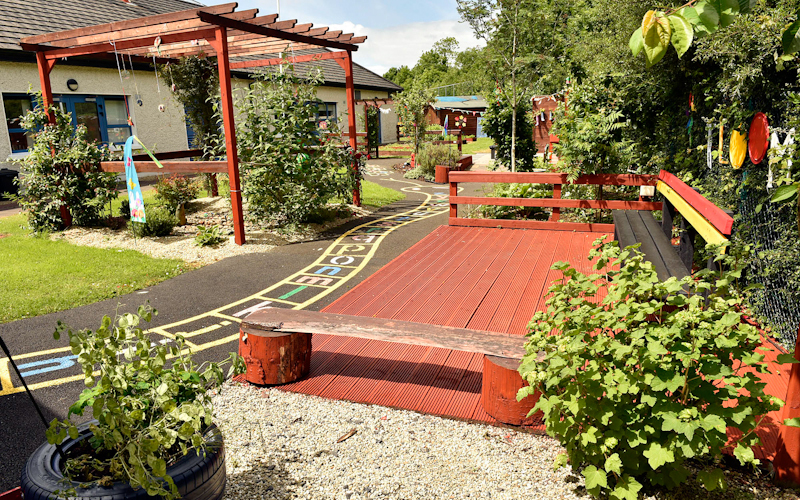 The newly revitalised Sensory Garden at the school Photo Ken Wright. Members of the Connolly and Joyce families were present when the children from Classes 1 and 2 raised high the colourful parachute to unveil the table to all. 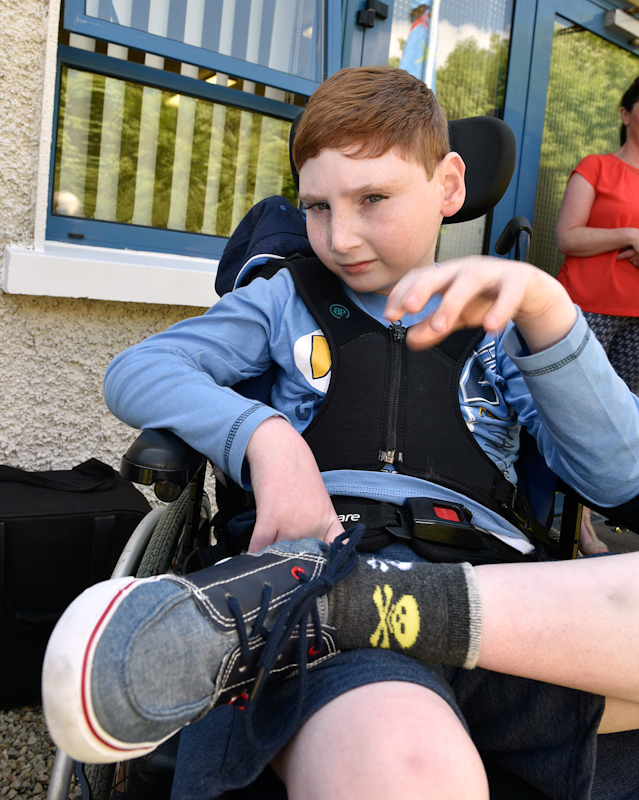 As Thomas was a wheelchair user it is particularly fitting that the table is fully wheelchair accessible and it was designed to accommodate two wheelchairs alongside able-bodied companions by Murrays Recycled Plastics Castlebar. 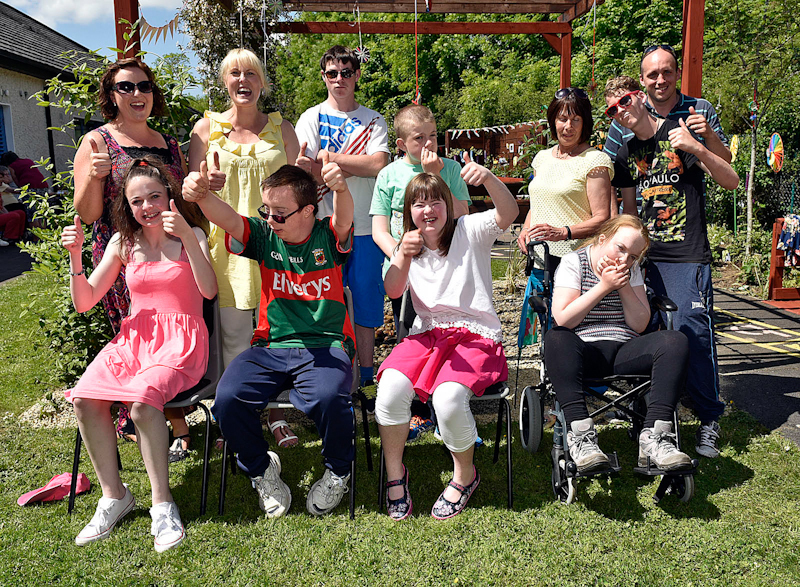 Pictured at the Memorial Picnic Day held at St. Anthony’s School, Raising the 2nd Active Flag Shakira Reilly, Keith Solan-Shaughnessy, Ray McNamara Mayos Sports Inclusion Disability Officer, Kade Hughes, Teresa Murray, Mayo Education Centre, Patti Smioarczyk, Sean Connor, Oliwia Brodecka, Fiona Byrnes, Principal, Anna McGough SNA, Michael McHugh, Michael Kelly caretaker, Damien McDonnell, Roisin O’Flaherty Teacher and PE co-ordinator, Liam Irwin Vice-Captain Mayo U21 team. Photo © Ken Wright Photography 2016. The unveiling took place in the newly revitalised Sensory Garden at the school and it is a credit to the students, staff and parents who worked on this project over the last few weeks to see such a vibrant blooming garden which the pupils obviously adore spending time in during their school days. 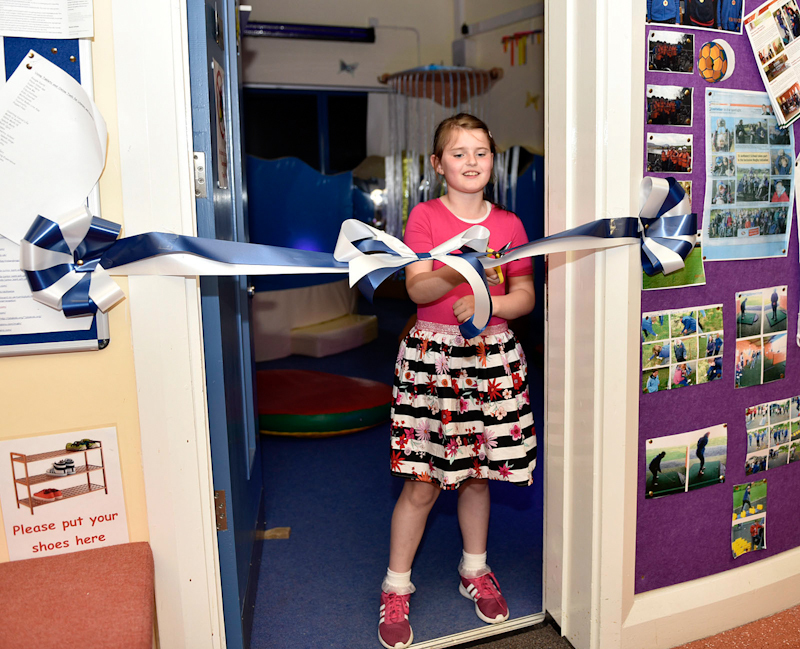 There was also much celebration tinged with sadness as Emily Connolly, sister of Thomas, officially cut the ribbon opening the brand New Sensory Room at the school. Thomas particularly loved the old sensory room while he attended St. Anthony's before he passed away so it was fitting that Emily, who had also raised money for the refurbishment of the room after he died, was the person to open it in his honour. 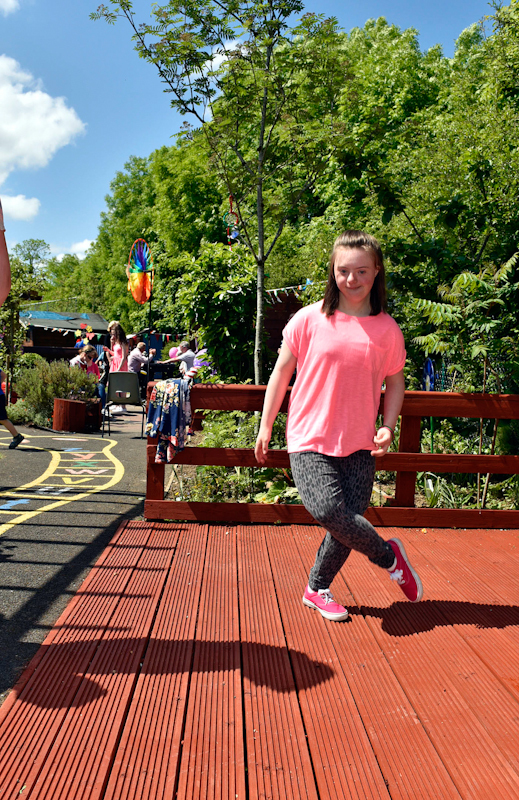 Pictured at the Memorial Picnic Day held at St. Anthony’s School, Emily Connolly officially opening the New Sensory Room at St. Anthony’s Special School in honour of her brother Thomas who attended the school but sadly passed away in May 2015. Photo © Ken Wright Photography 2016. More celebrations and great excitement was present when the Vice-captain of the winning Mayo U21 team Liam Irwin raised the 2nd Active Flag for the school. 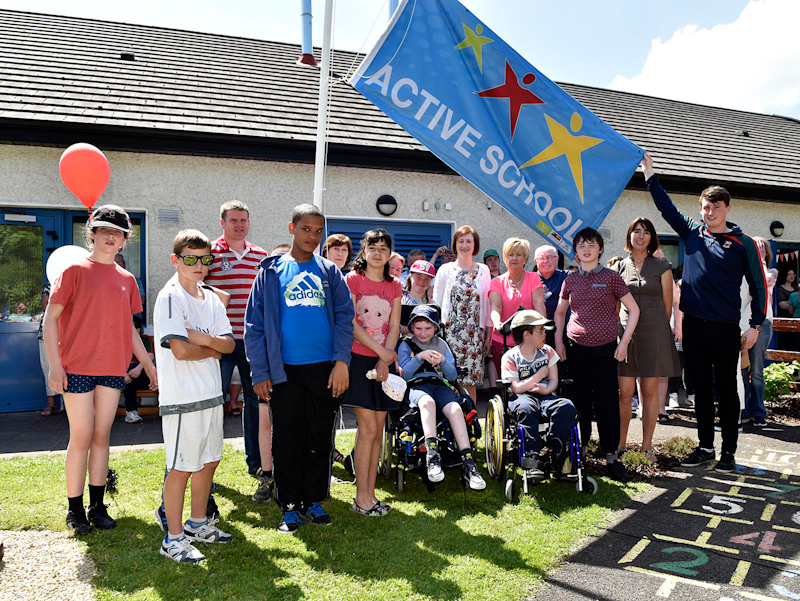 The Active Flag recognises schools that place emphasis on physical education to achieve a physically active school community and St. Anthony's School is one of the first in the country to achieve the 2nd flag for this achievement. Ray McNamara from Mayo Sports Partnership and Teresa Murray from Mayo Education Centre representing the Active Flag Schools Scheme were on hand to witness this momentous event. 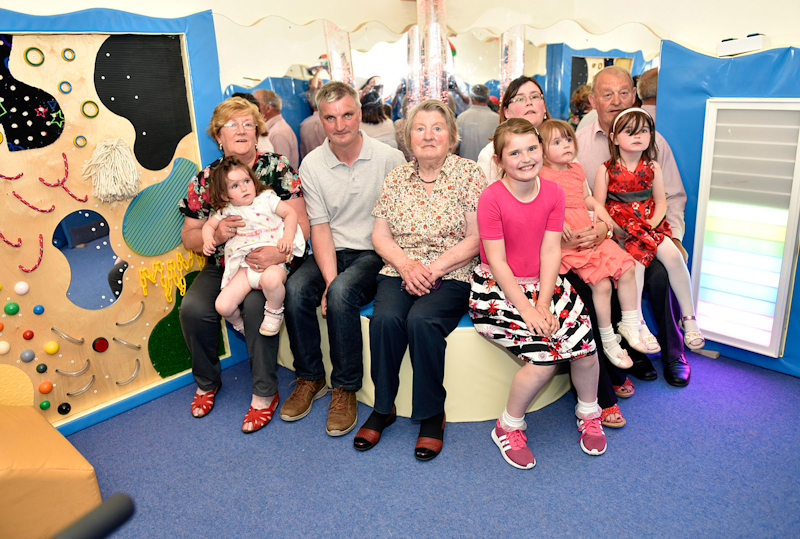 Pictured at the Memorial Picnic Day held at St. Anthony’s School, Emily Connolly with members of her family in their new sensory room, l-r; Teresa Derrig, Ger Connolly, Grace Connolly, Hilda Connolly, Emily Connolly, Loretta Connolly, Olivia Connolly, Ava Connolly and Seamus Derrig. Photo © Ken Wright Photography 2016. All pupils were then thrilled and delighted when Mr Popeye's ice-cream van arrived to hand out ice-creams to everyone on such a wonderful day for all. 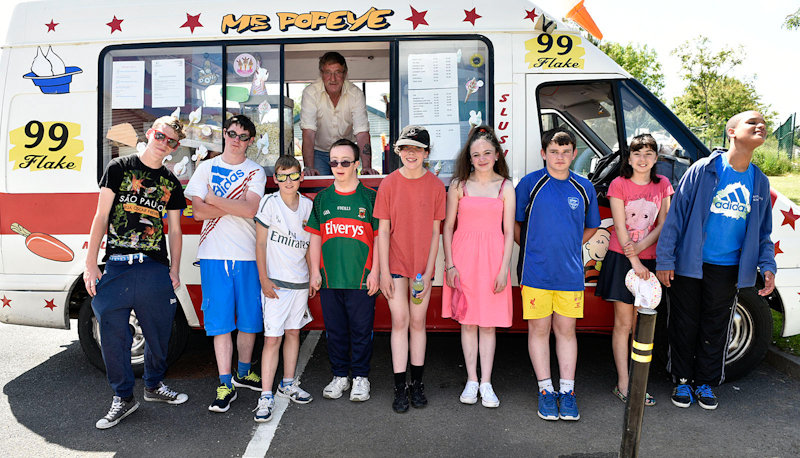 Pictured at the Memorial Picnic Day held at St. Anthony’s School, well deserved ice-creams for Henry Mannion, Dillon Quigley, Keith Solan-Shaughnessy, David Niland, Shakira Reilly, Tina Browne, Ian Burke, Patti Smolarczyk and Kade Hughes. Photo © Ken Wright Photography 2016. Pictured at the Memorial Picnic Day held at St. Anthony’s School when invited guests watched as pupils raised their 2nd Active flag. Photo © Ken Wright Photography 2016. 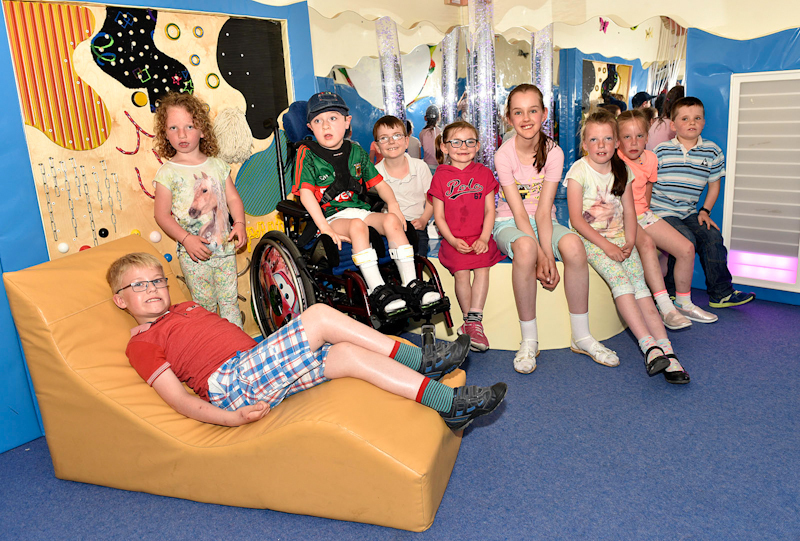 Pupils from Class 1 and 2 in the New Sensory Room at St. Anthony’s School, l-r; Cian Coughlan, Leona Sweeney, James Connor, Dillon Brogan-King, Joanne Burke, Emilija Ignotaite, Matilda Sweeney, Martha McDonagh and Paraic Conway-Daly. Photo © Ken Wright Photography 2016. 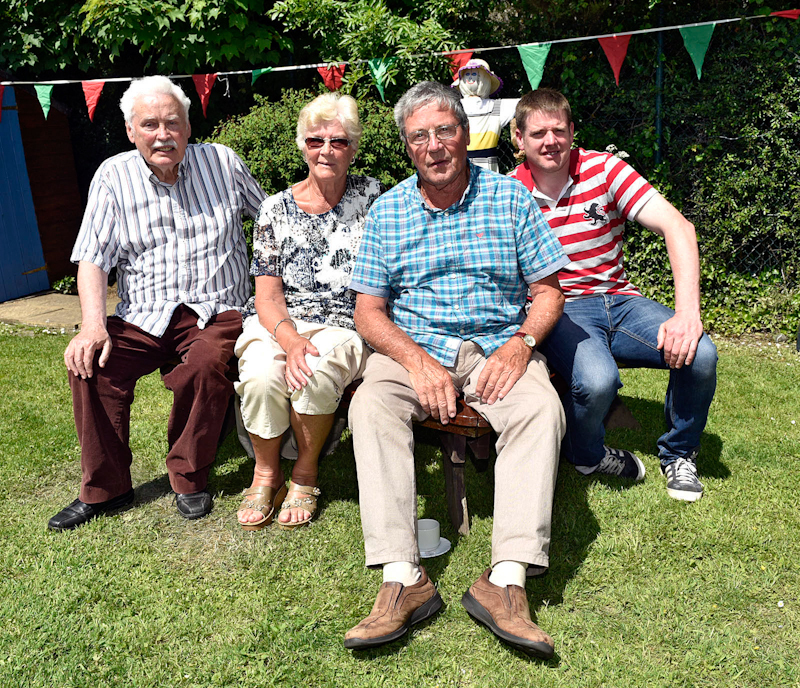 Johnny Mee, Chairperson Board of managerment and Ray McNamara Mayos Sports Inclusion Disability Officer with guests at the St. Anthony’s Memorial Picnic Day. Photo © Ken Wright Photography 2016. Pictured at St. Anthony’s School at the Memorial Picnic Day, where entertainment was provided by Mick Mulhearn and friends. Photo © Ken Wright Photography 2016. 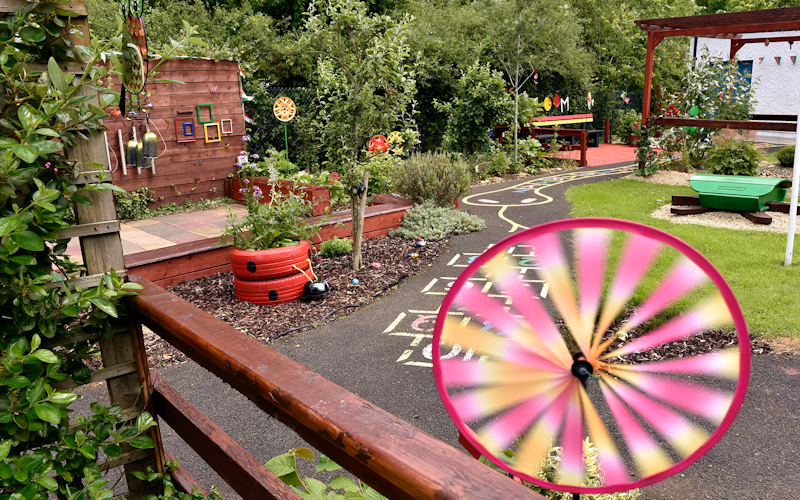 Pictured in the sensory garden at St. Anthony’s School, Great work was done by pupils, staff and parents of Class 5: Front l-r: Tina Browne, David Niland, Jean Gibbons and Niamh Gordon. Back l-r: Caroline Cresham SNA, Anna Sweeney Teacher, Dillon Quigley, Cathal Monaghan, Teresa Varley SNA, Henry Mannion and David Mulchrone, Parent. Photo © Ken Wright Photography 2016. 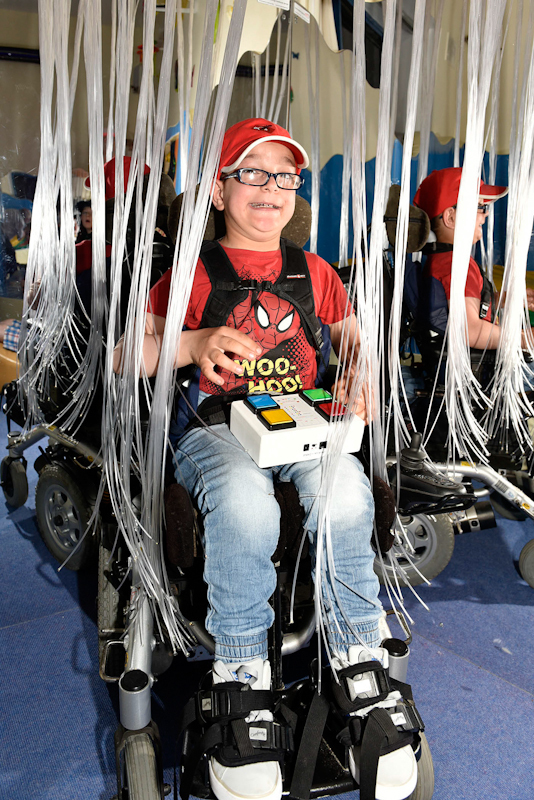 Pupil Mateus Dudzinski enjoying the fibre optic waterfall in the New Sensory Room at St. Anthony’s School. Photo © Ken Wright Photography 2016. Pictured at St. Anthony’s School, at the Memorial Picnic Day, Sean Connor relaxing at the Memorial Picnic Day. Photo © Ken Wright Photography 2016. 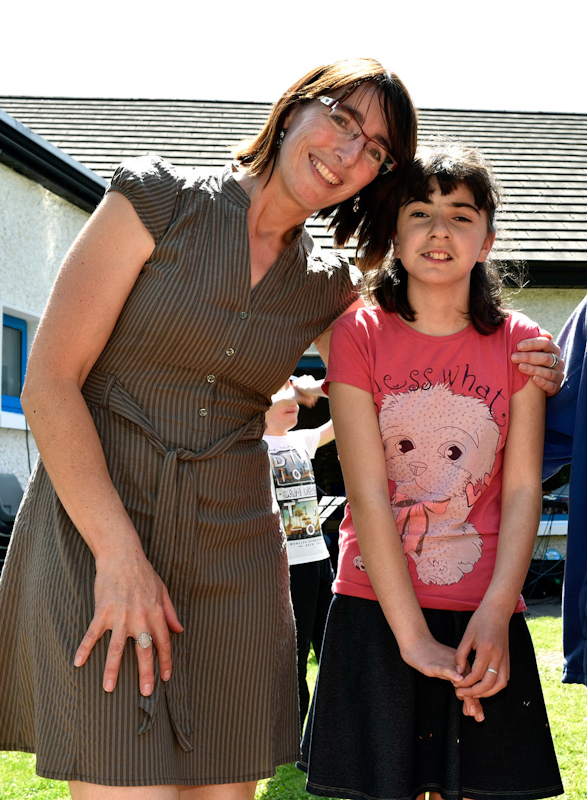 Pictured at St. Anthony’s School, Teacher Roisin O’Flaherty and pupil Patti Smolarczyk enjoying the Memorial Picnic Day. Photo © Ken Wright Photography 2016. 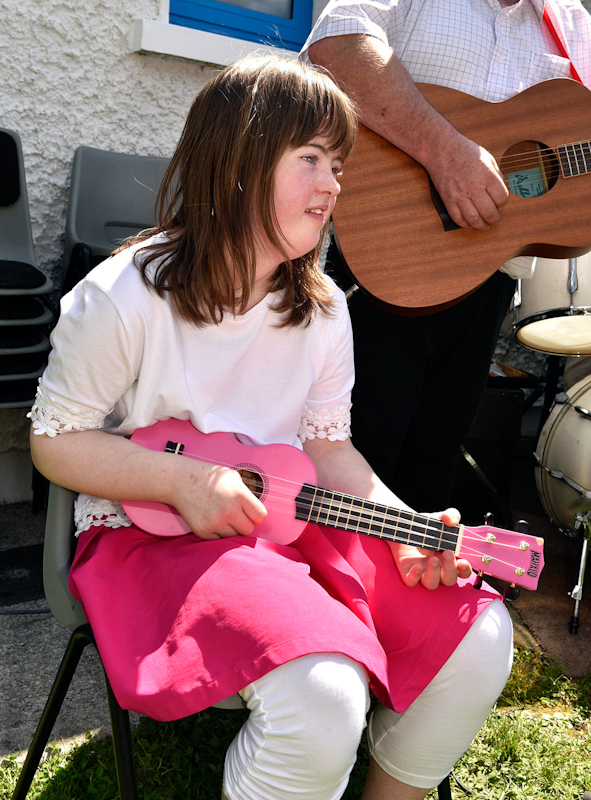 Pictured at St. Anthony’s School, at the Memorial Picnic Day, Aoife Tighe dancing away at the Memorial Picnic Day. Photo © Ken Wright Photography 2016. 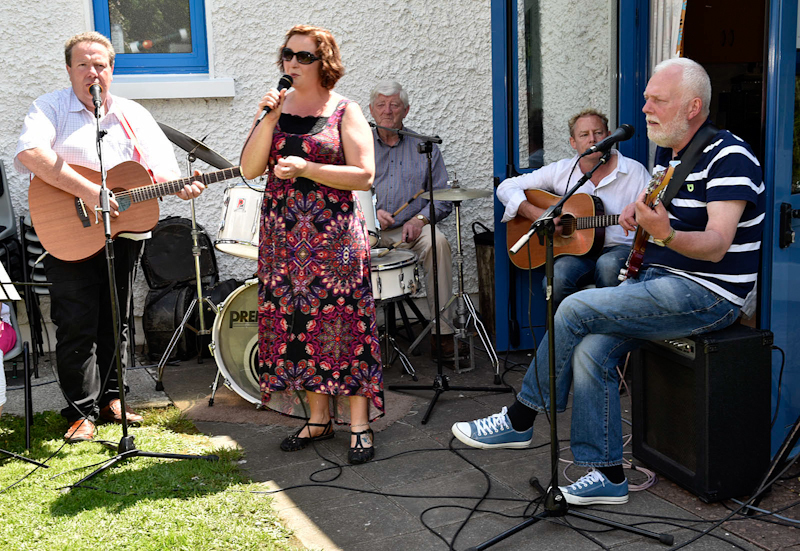 Pictured at St. Anthony’s School, Jean Gibbons entertaining the crowds at the Memorial Picnic Day. Photo © Ken Wright Photography 2016.